It is quite concerning in itself that human body has been bounded to be a home of multiple fatal diseases with the outbreak of incurable symptoms. Each passing year is becoming a deadly year for humans with the outbreak of lethal virus. After Zika virus and Ebola virus in the news, Nipah virus (NiV) infection is a newly emerging zoonosis that causes severe disease in both animals and humans. The natural host of the virus are fruit bats of the Pteropodidae Family, Pteropus genus. The south Indian state of Kerala has been put on high alert after eight people have died of a mysterious viral attack in Kozhikode, with three deaths attributing to Nipah virus (NiV). On Sunday (May 20, 2018), the National Institute of Virology, Pune, confirmed the presence of Nipah virus in three samples that were already sent to the institute and this unenviable incident has now caught the county's attention. Origin: According to WHO, Nipah Virus was first identified during an outbreak of disease that took place in Kampung Sungai Nipah, Malaysia in 1998. On this occasion, pigs were the intermediate hosts. However, in subsequent NiV outbreaks, there were no intermediate hosts. In Bangladesh in 2004, humans became infected with NiV as a result of consuming date palm sap that had been contaminated by infected fruit bats. Transmission: The disease spreads through fruit bats, also known as ‘flying foxes,’ of the genus Pteropus - natural reservoir hosts of the Nipah and Hendra viruses. Transmission of the virus to humans takes place via direct contact with infected bats, infected pigs, or from other NiV infected people. Symptoms and Cure: NiV infection in humans is linked to encephalitis - inflammation of the brain- characterized by fever, headache, drowsiness, disorientation, mental confusion, coma, breathing trouble and potentially death. According to the CDC, symptoms can progress to come within 24-48 hours. It is in the 2018 WHO list of viruses that could potentially pose a huge health scare. 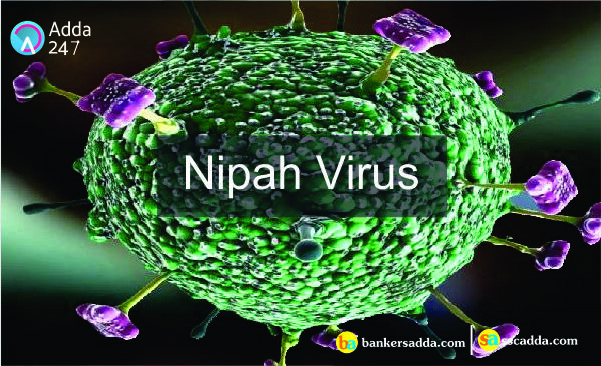 In humans, the primary treatment for Nipah virus is intensive supportive care. Till date, unfortunately, there is no vaccine for either humans or animals. HAVE WE BECOME SLAVES OF TECHNOLOGY?